Although they partly subscribe to Glacial Movements’ isolationist theory, Retina.it opt for a slightly more refined and open-ended approach for much of this album. On Freezing The Forth String for instance, the initial drone, once fully loaded, is layered with tiny electronic fragments and a series of string motifs which are not without recalling some of Biosphere’s work, notably on Shenzhou. Moonshine, and later on -32°F Porcelain, Metal & Ice, are also very much reminiscent of Geir Jenssen’s work, but ark back to Substrata‘s peaceful arctic environments. On the former, Buono and Monaco slowly develop a series of melodic piano loops which phase in and out of focus with each other, their respective shimmering textures and ephemeral melodic patterns contributing greatly to the overall dreamy feel of the piece. The latter, at five minutes seventeen the shortest piece on the album, also stems from delicate piano loops, although both the context and realisation are different. The pair rely here on a three-note pattern, upon which a second looser one is occasionally added, stripping any purely melodic aspect to concentrate on building a gently hypnotic groove, partly by dubbing tiny electronic particles to create the illusion of a rhythmic structure. There is nothing on these pieces of the impression of latent peril which often infuses isolationism, but the rest of this album takes on a much darker meditative tone. Whilst opening piece Synth On Axis slowly scans through a series of long drone forms, rendered hazier by the seemingly ever expanding reverbs, and tainted with randoms bleeps, glitches and what sounds like animals calling out, Attrazione Magnetica and Descending Into Crevasse are much sterner, bleaker pieces, built around extremely desolate soundscapes, with very little sign of any sustained activity. If Freezing The Forth String, Moonshine and -32°F Porcelain, Metal & Ice somehow represented a euphoric notion of calm, the dystopian nature of these last two pieces is their flip-side. Attrazione Magnetica moves at the pace of the relentless flux and reflux of its soundwaves, with very little change through its whole course. If anything, Descending Into Crevasse appears even more barren and menacing, but the constant ebbing and flowing is much more random and takes on a variety of forms, from piercing noises to heavily distorted orchestral stabs, until they slowly die down. 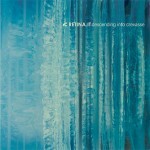 Although they have never shied away from difficult music, this album is Retina.it’s most demanding record to date, and whilst the pair negotiate the isolationist concept well by injecting more accessible ambient components, the oppressive atmosphere which lingers through occasionally makes for quite an uncomfortable listening experience. If Nicola Buono and Lino Monaco have for now shed their complex electronica and successfully adopted to a much bleaker state, a rapid thawing of ambience would be very much welcome.